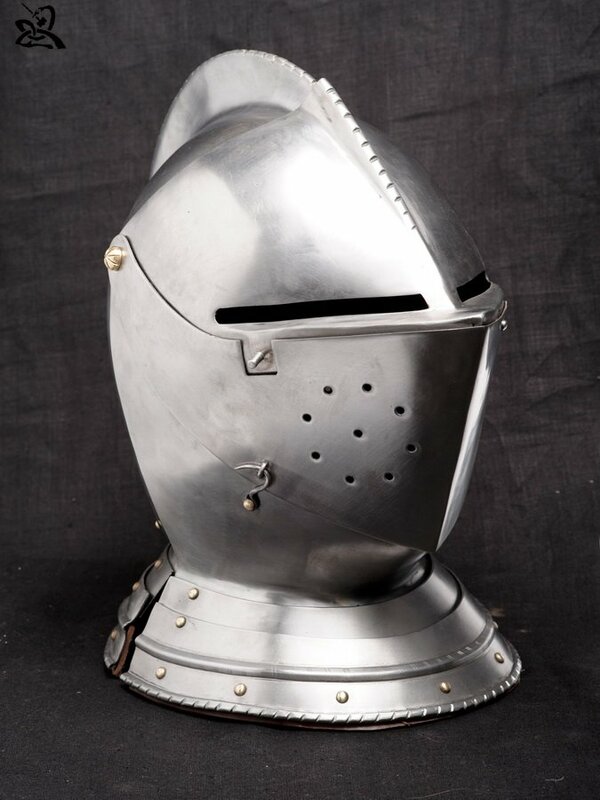 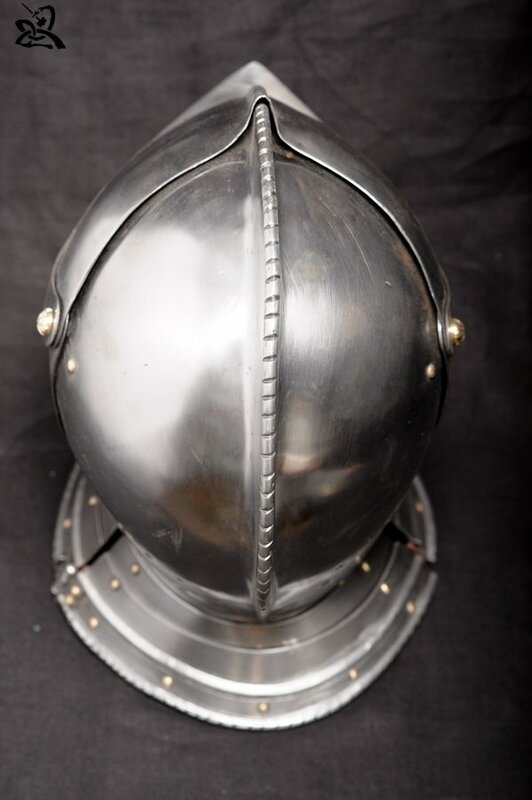 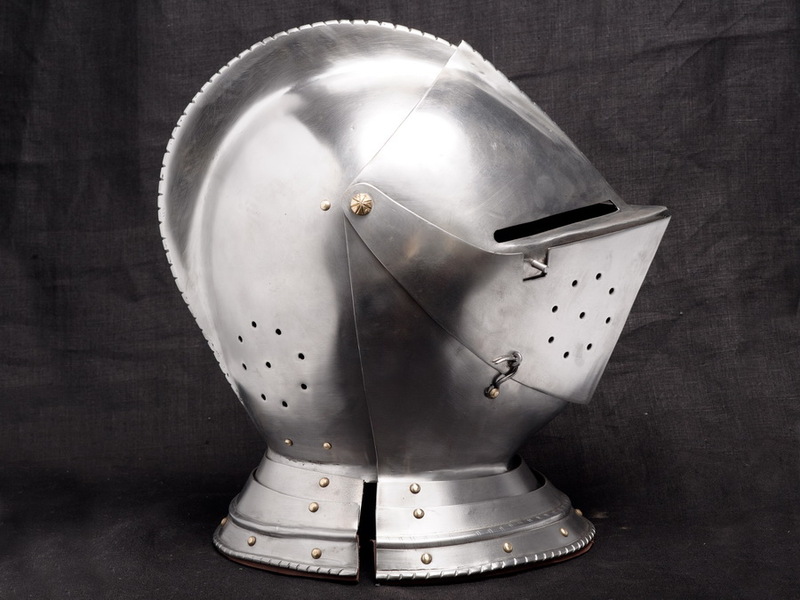 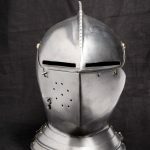 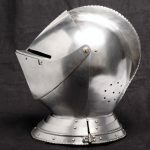 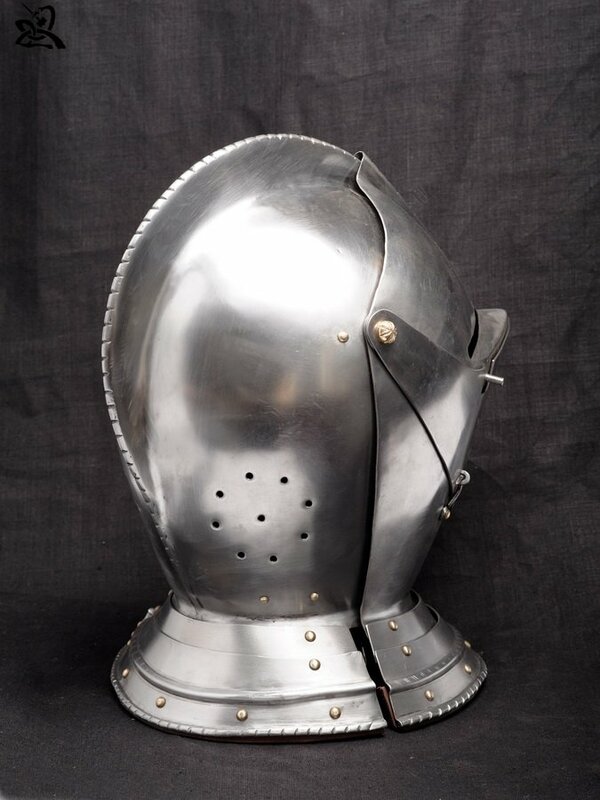 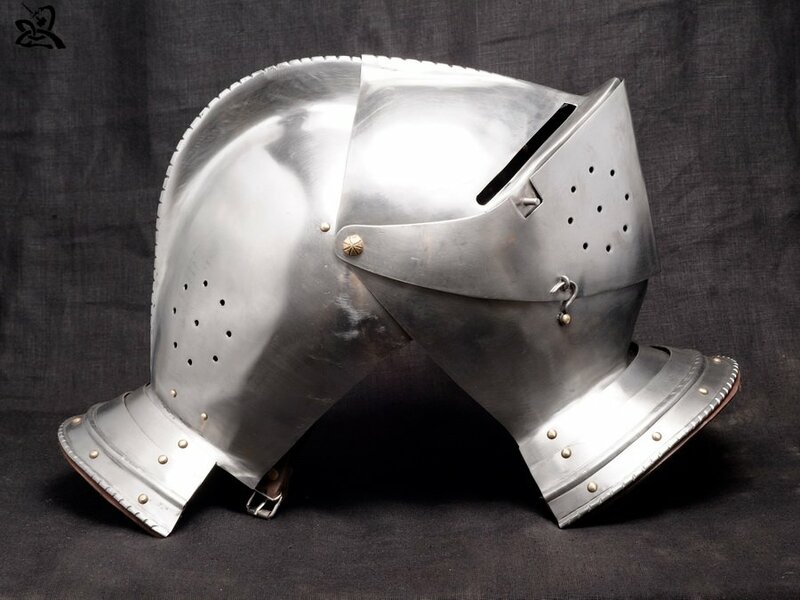 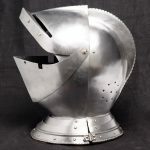 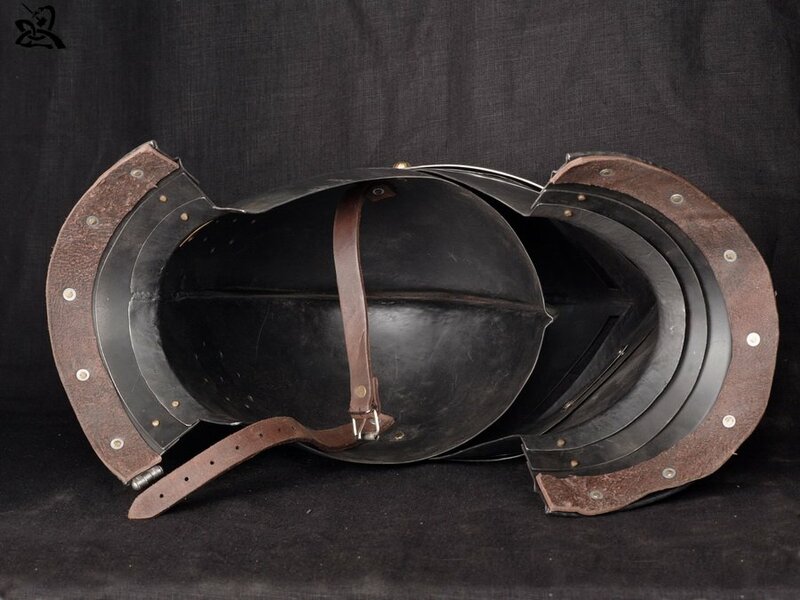 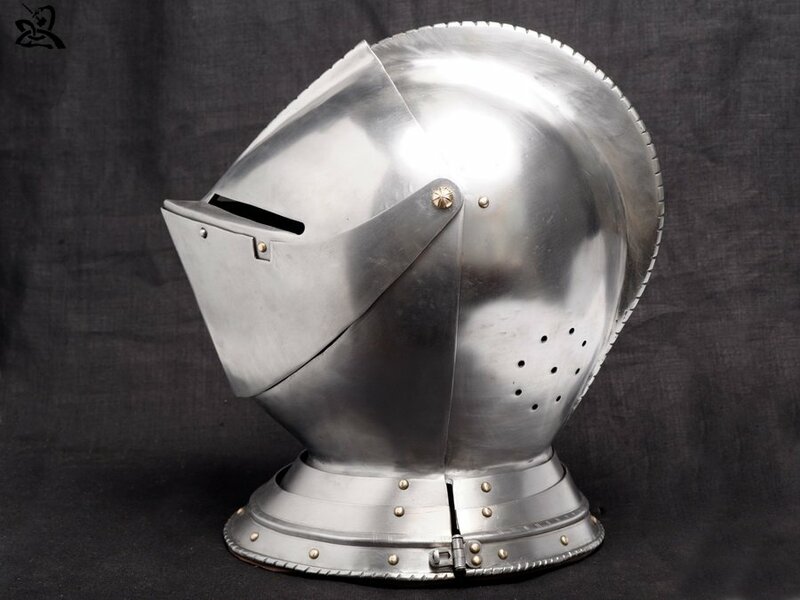 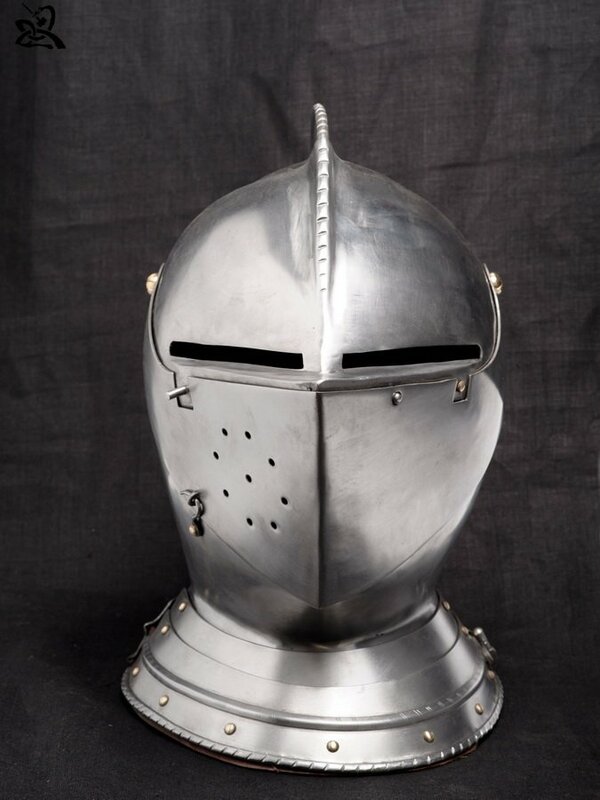 Excellent arme helmet. 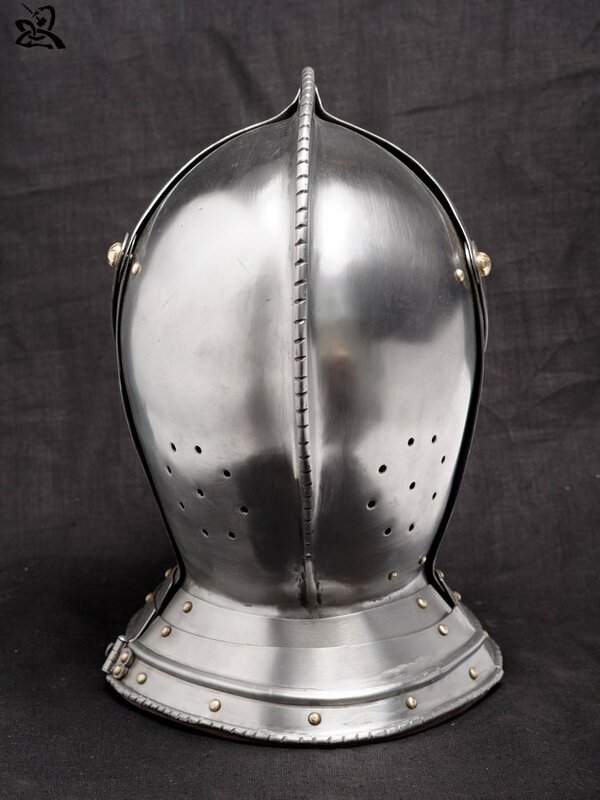 Made of cold rolled steel, thickness is 1.5 mm. 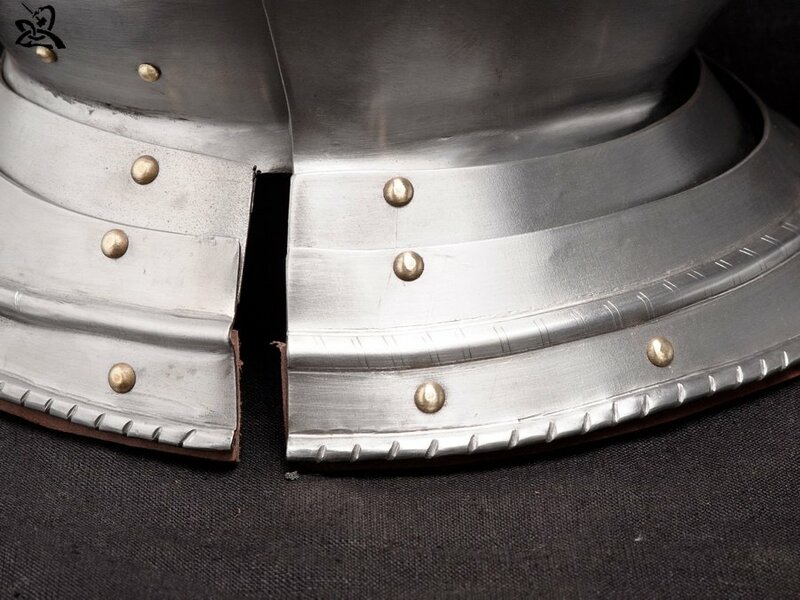 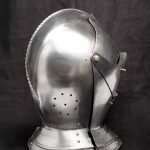 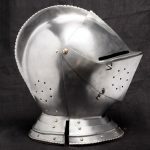 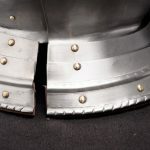 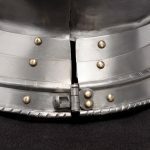 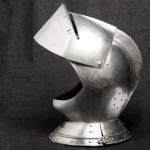 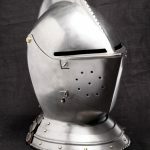 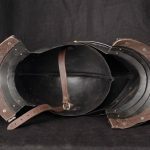 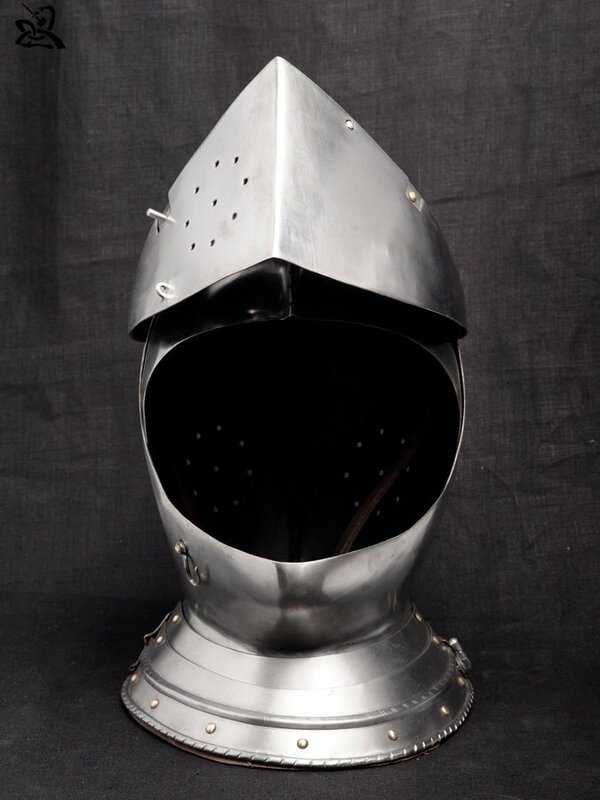 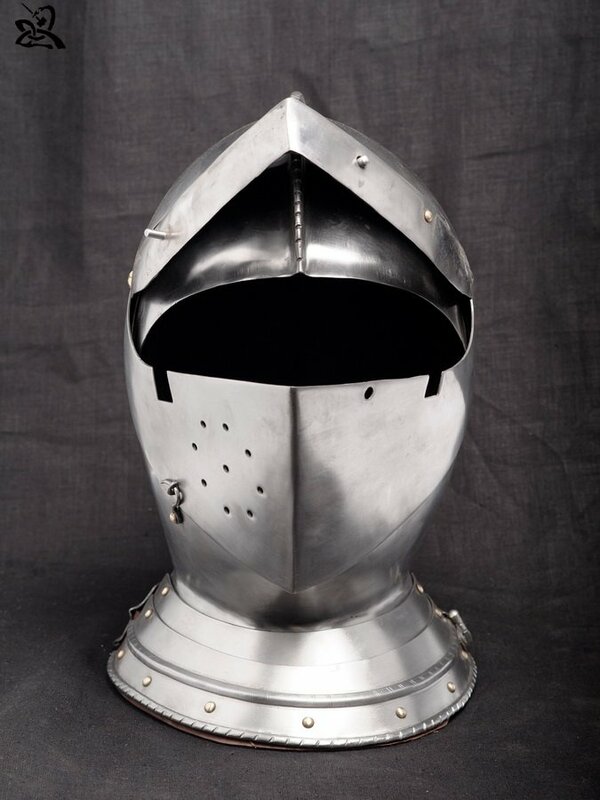 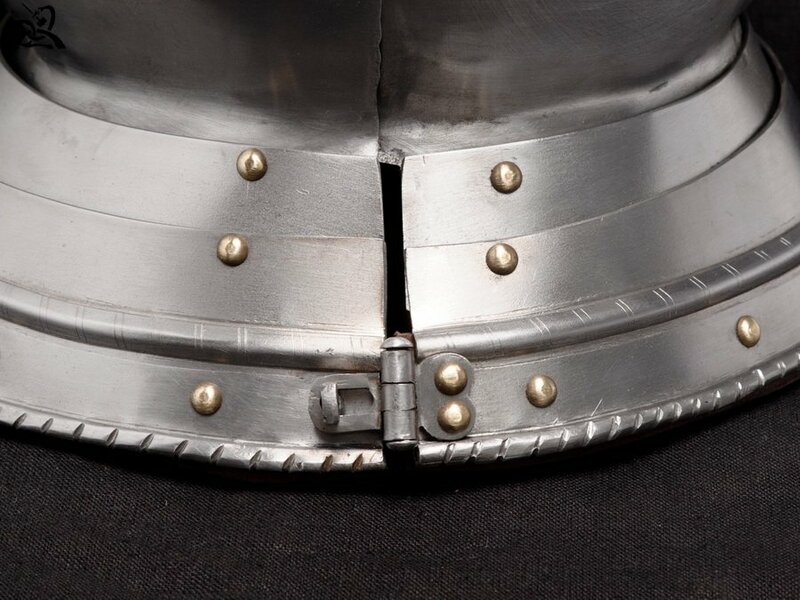 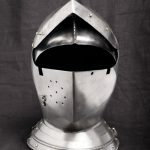 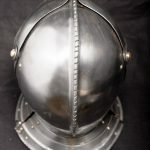 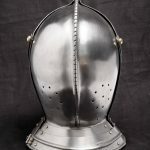 Good both for tournament and medieval fencing. 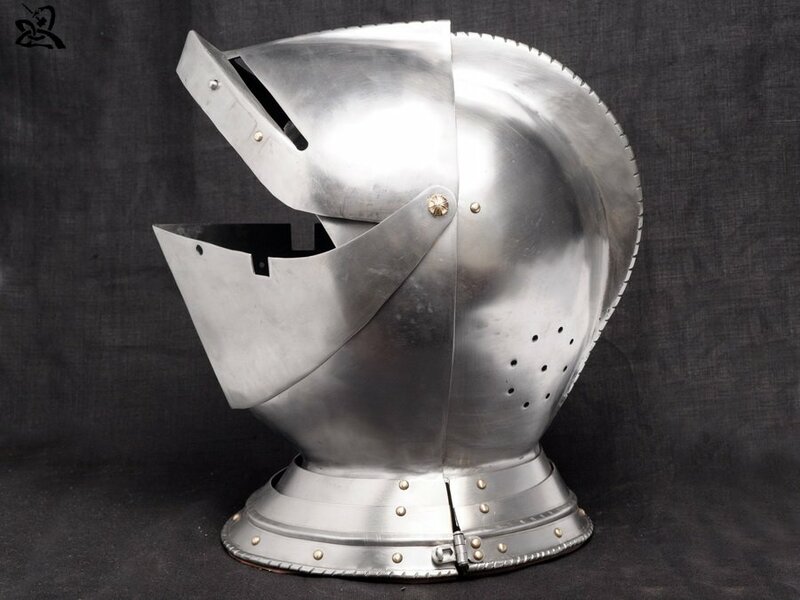 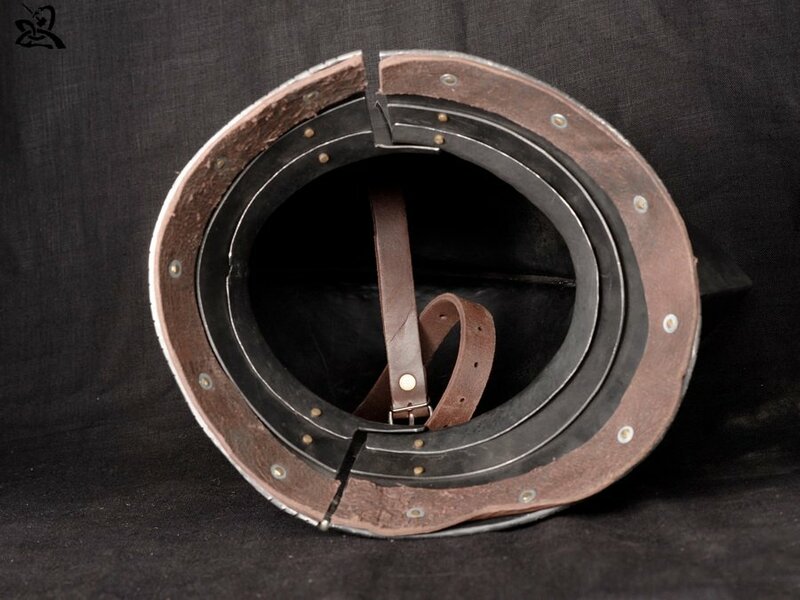 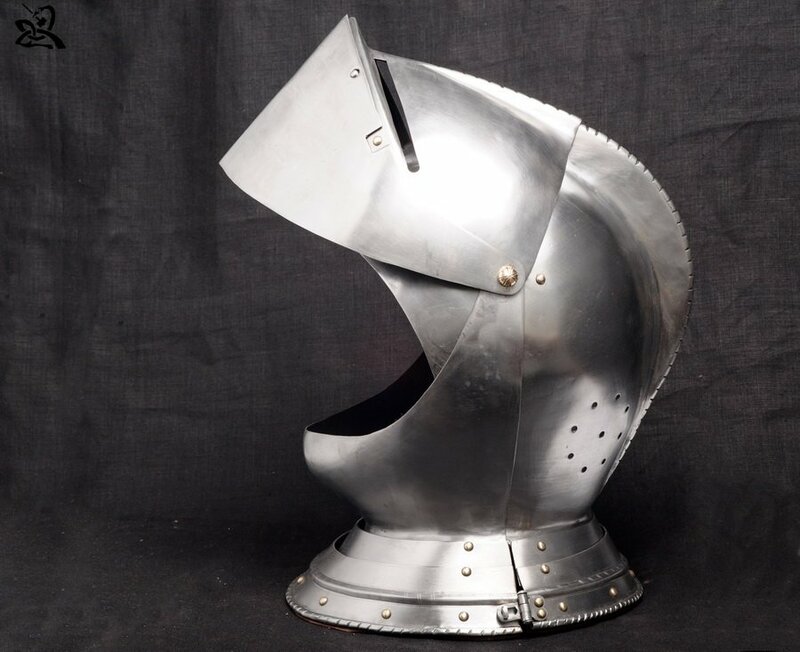 This helmet has three visors. 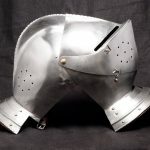 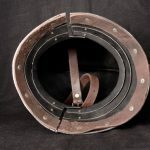 This provides you opportunity to open your face as you need according to situation. 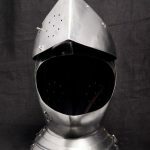 You may will look around, or take a deep breath of fresh air or at least (but not the last) show your glorious face during the final tournament.